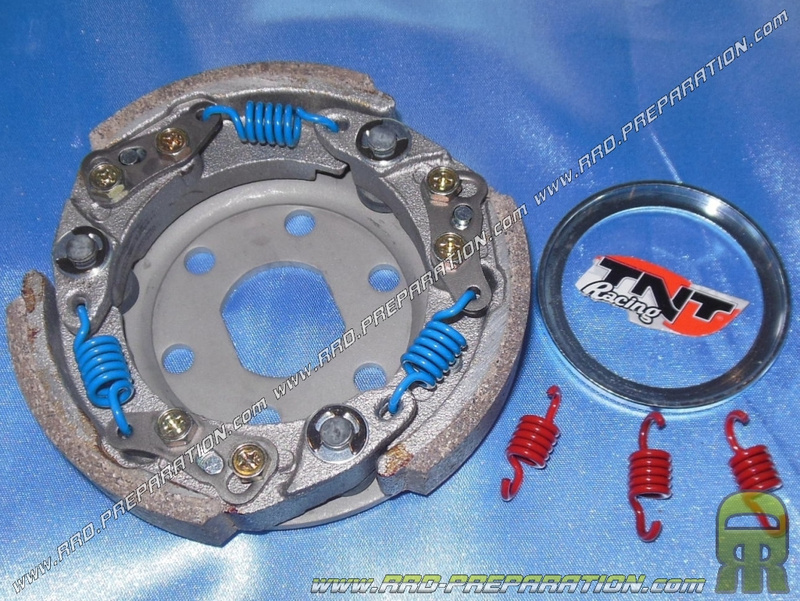 A clutch Ø107 mm cheap, strong, lightweight and that offers additional performance! 29,05 € 29.05 tax incl. 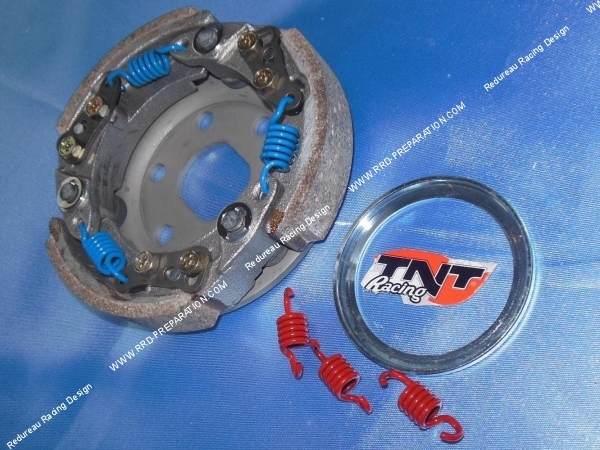 Ideal for performing a complete overhaul of your transmission or improve this one, here's the clutch TNT Racing 3 jaws improved for minarelli scooter / yamaha ... Good quality, it is a good compromise, accompanied by the a bell quality of the same diameter. Has a reinforced trim hanging, with a diameter of 107mm, equipped with springs that are removable to fine tune your settings ... It is already strengthened to hang later and lightened. Clearly, an element that combines quality / performance / price! Mounts on booster rocket, nitro, aerox, dna, buxy, stalker, typhoon, speedfight .... Delivered as presented with a set of 3 clutch springs and more to improve the grip better!